Not a Christmas goes by that I don’t prepare a roast. There’s something ultimately satisfying about seasoning a huge hunk of meat and baking it. The smell of roasted meat permeates the house, causing salivary glands to work overtime. The process doesn’t take long and while I’m waiting, I start whipping up a batter for Yorkshire pudding. 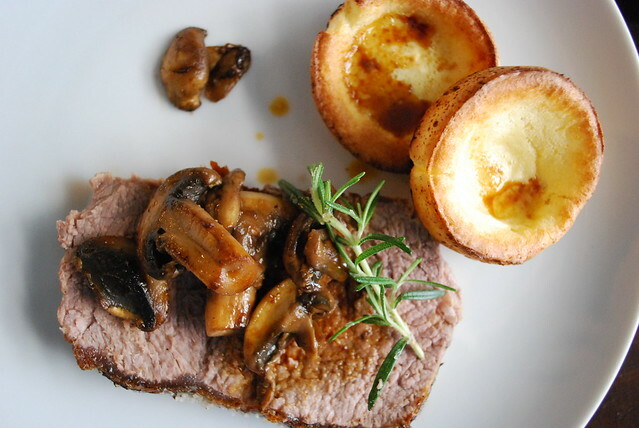 Yorkshire pudding is the perfect accompaniment to roast meat and despite its name, it isn’t pudding at all. Drizzle fat drippings into a pan, pour batter on top and bake. 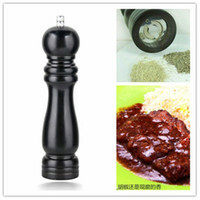 I love it because it uses something I would normally throw away (although not much of it is needed). The drippings lightly season the batter, and after it’s baked, it resembles a fallen-in popover. 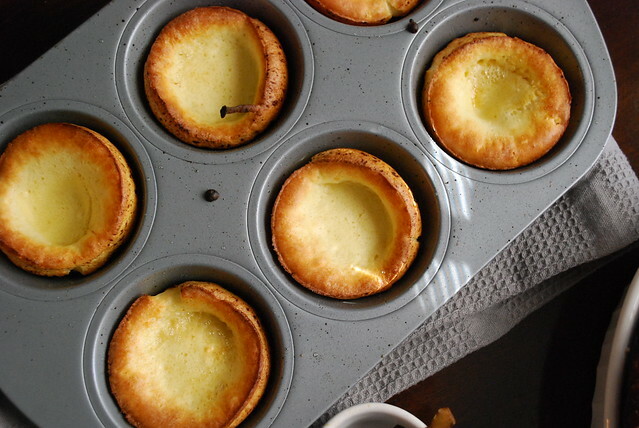 Making the batter for Yorkshire pudding is easy — it’s just equal amounts of egg-and-milk mixture and flour. Still don’t get it? Say you want use a few eggs and it equals 1/4 cup. In that case, 1/4 of milk is added. The combination of milk and egg is now 1/2 cup, so 1/2 cup of flour is added. Season lightly with salt and that’s it. Batter done. The batter can be baked in a large pan but I prefer divvying it up in a muffin pan before I bake. There may be other recipes for Yorkshire pudding but this is a no-brainer and hasn’t failed me yet. I tend to play around with the amount. Sometimes I add water to thin the batter and even fiddle with the oven temperature but it always seems to work. If you haven’t figured out what to serve for New Year’s, there’s still time to try these out. While roast is cooking, combine equal amounts of egg and milk. Add equal quantity of flour to egg/milk mixture, pinch of salt and combine until batter is smooth. (A large egg is usually 1/4 cup so you’ll need 1/4 cup milk and 1/4 flour. This makes about three regular-sized muffins.) Rest for at least 30 minutes. 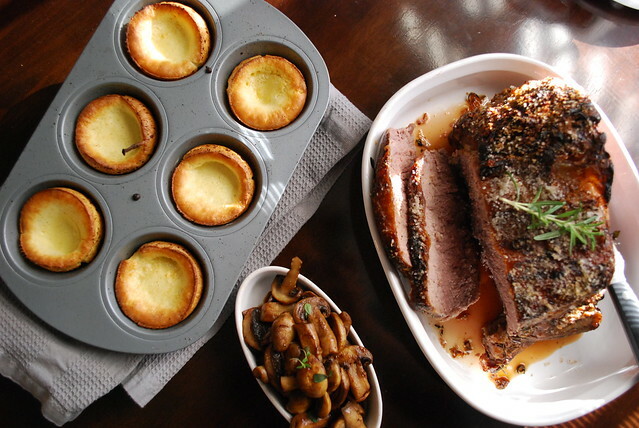 After roast has been removed from oven, increase heat to 450 degrees F.
Add pinch of fat dripping to muffin pans and heat muffin pans in oven until fat is sizzling. 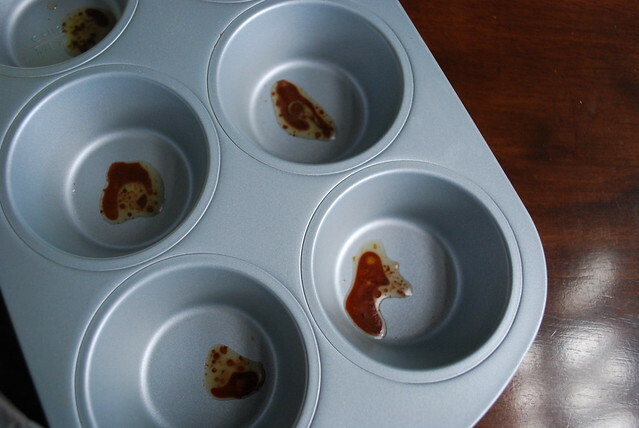 Fill muffin tins with batter until half full. Return to oven to bake for 8 minutes or until outside is crisp. I didn’t make Yorkshires this year, which felt like sacrilege as my family is from Yorkshire and I am used to having them for starters, main, and leftover ones for pudding most Sundays!